It’s time for Round 2 of our Pirate101 Birth-O-Ween Celebration!! Since our trivia question last night was a little tougher than expected, we decided to make this one real easy. Simply send us an email and name YOUR favorite pirate in the game. No right or wrong answer here! 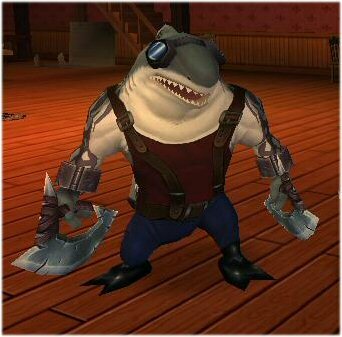 My favorite pirate is one of my Captain’s companions and first mate; Fin Dorsal. This entry was posted on October 17, 2013, in News and tagged away, celebration, codes, contest, game, give, giveaway, pirate, Pirate101, prize. Bookmark the permalink.